The Guardian (UK) attends Elko county caucuses. The railroad is coming! Slowly, to be sure, but the Virginia & Truckee Railroad is being rebuilt between Virginia City and Carson City. 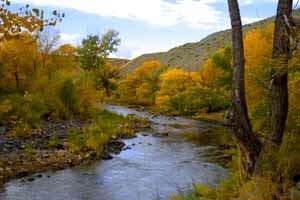 The route of the V&T between Carson City and Virginia City is spectacularly beautiful. It may be a couple of more years before you can buy a ticket, but it will be well worth the wait. It will be a two hour ride in a vintage coach, clickety-clack clickety-clack with a mild rhumba motion behind a chuff-chuffing steam locomotive. Close your eyes and you are transported into a soothing alpha state. Open them and you are gliding through a beautiful landscape inaccessible by car. Sweet. From the Carson City depot on the east side of town the tracks will stay close to the original route and once it enters the Carson River canyon it will follow it exactly. Some of the rock walls built in the 1860s and ’70s still buttress the old roadbed, and the few visible relics date from the 19th century, so it’s a shock to round a corner and encounter the industrial helter-skelter of modern Mound House. The historic V&T was famous for the richness of its freight, ours will be famous for its beauty. The bridge that will carry the train across US 50 is already lying in the sagebrush on the south side of the highway. Trains will pass over the road somewhat to the west of the original grade crossing, skirt around Mound House and climb into the hills to the north to rejoin the original roadbed again. A tunnel will bring the train into American Flat, and it will follow the countour around the rim of the hillside, over the fill in the Overman pit to the Gold Hill depot. The last section of the run will use the track that Bob Gray spiked down nearly 40 years ago when he brought the V&T back to life in Virginia City. Where Am I? Send an e-mail if you know, maybe we can scrape up a prize. The answer will appear in the next Trip Report. Construction is now progressing from the end of track about halfway around American Flat to completion of the bridge crossing over US 50 at Mound House. This 4½ mile section should be completed by the end of August, leaving five more miles to go to reach the east side of Carson City. There won’t be enough money left to build this last stretch, but raising more millions won’t be nearly so hard when a steam locomotive can be parked on the bridge in plain sight above US 50. There are uncertainties still to resolve about the Carson City terminus, and the tug-of-war with the Gray family over control of the Virginia City to Gold Hill section continues. But I expect to be standing in line to buy a ticket in 2011, and I’m thinking it will be a long line. And so she threw one. 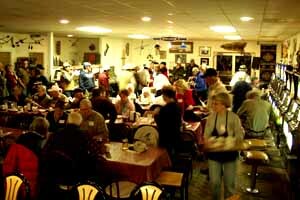 The Border Inn was filled with happy faces during the 5th annual Old Sheepherders’ Party. She thought 40 or 50 people might show up for the supper of lamb stew, fried spuds and baking powder biscuits. Ninety came, most of them from the southern Idaho, western Utah, eastern Nevada region where the dwindling sheep industry still survives. In 2005 150 old timers arrived for the party. 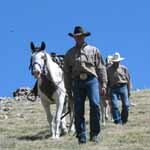 In 2006 Hal Cannon came from the Western Folklife Center to film the event. 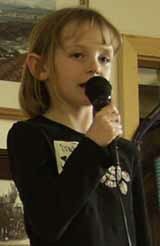 Snake Valley neighbor Melanie Heckethorn was one of the singers at open mike night. He came back with a camera crew again in 2007, when the festivities were spread over two days so more people could participate. 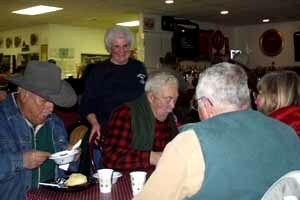 This year’s party followed that format as well, with a traditional sheep camp buffet dinner on Friday night followed by Open Mike entertainment. Saturday began with a sourdough pancake breakfast followed by a day of lollygagging and socializing, an exhibit and film at the Great Basin Visitor Center, and eventually a performance by the Silver Sage Family Band from Delta Utah. The Saturday night dinner was in the traditional Basque family style: beef tongue, bean and cabbage soup, lamb roast and sorbet. Oh, and wine. A lot of wine, and a Sheepherders’ Ball that continued late into the night. Denys Koyle, dishing up good times at the Border Inn. enjoyable as the party is, there are fewer and fewer sheepherders to enjoy it. “The last of the Basque sheepherders working around here left the range in 1977,” she says. “After that it was Scotsmen and then Navajos; they’re all Peruvians now. And where I used to have 30 or 40 of them in here on a Saturday night, I might get 8 or 9 now. Fallon is 100 years old this year, pass it on. struck northeast Nevada. Its epicenter was a dozen miles southeast of Wells and three miles beneath the surface of the earth. 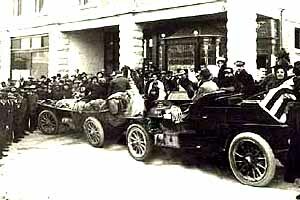 Injuries at Wells were few, a broken arm the worst of it. But the structural damage was an enormous calamity. Front Street with restoration underway. More photos here, comparing the pre- and post-earthquake views. Front Street, the boulevard that faces the railroad tracks was Wells’ first commercial center and for many years its busiest. When the automobile replaced the railroad as the principal source of economic ignition, the highway attracted new development. When th Victory highway — later US 40 — passed down it, 6th Street replaced Front Street as the little city’s principal boulevard. Front Street became yesterday’s news. Front Street has been in slow decline for more than 50 years, and the last remaining commercial enterprise, Quilici’s Market, closed in 1991. John Quilici had been the proprietor for 60 years, first with his brother and then on his own. He swept the wooden floors every day with sawdust and oil, and rewarded kids who said “please” and “thank you” with free hot dogs. After that, Front Street was a ghost. Lovelock bubbled with bliss on Valentine’s Day as newlyweds locked their love in the little plaza behind the Pershing County Court House. newspaper experience to write an illuminating booklet describing each of the old buildings and detailing their histories, and added informational posters to each one, showing photos of them in their heyday. Now all that has been wrecked, and it’s still an open question whether the Kaplans will be able to return to their home. The quake is a catastrophe for all concerned, but it seems especially cruel for people who have given so much to restore the old city. 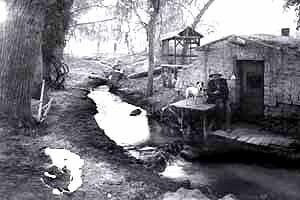 However, the story is still unfolding, and the people of Wells are rallying to clean up the mess and convert calamity to opportunity as they plan for the future. It will be a future considerably different that the one they’d planned for before the quake. In my Bookbag — Dempsey in Nevada by Guy Clifton. The weather on the Comstock Lode has been conducive to reading by the fire, and I’ve accumulated a tidy stack of new books to do it with, starting with this one about a familiar figure in American history. Jack Dempsey’s early years as a barnstorming prize fighter are fairly well known, but Reno Newspapers reporter and columnist Guy Clifton has delved deep into the archives for details of his surprising Nevada career. When Jack Dempsey left Nevada for the last time he was the retired Heavyweight Champion of the World, one of the greatest names in sports in the first half of the 20th century. Clifton tells of the tough kid’s saloon fights in Goldfield, Tonopah, Mina and Ely and how they led to Madison Square Garden and the first million dollar gate in boxing history. A fine addition to any Nevada bookshelf. 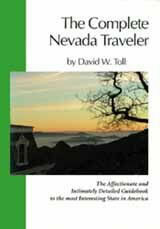 Available at Sundance Book Store in Reno, and at our online Nevada Book Store as well. 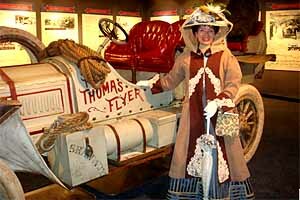 Here’s the Thomas Flyer in front of Tonopah’s State Bank & Trust building (Belvada Hotel) in March, 1908. There’s going to be a great event in Tonopah and Goldfield on Saturday March 22 to celebrate the Great New York to Paris Race of 1908, complete with the actual Thomas Flyer that finished in first place. The Thomas Flyer is the star of the show, but there will be a supporting cast of other historic automobiles meeting at 10 am in front of Fire Station #2 on Brougher Avenue for coffee, pastry and a commemorative photo shoot (by Jim Galli with his 1908 Kodak 8×10 format camera). Wear your vintage clothing and you can be in the photo too. 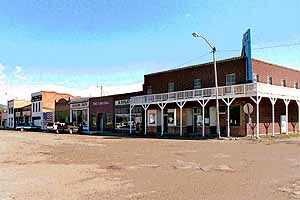 Then, at 11:15, all the cars and the human participants will parade 26 miles south to Goldfield and rendezvous at the Firehouse Museum on Crook Street for more refreshments and another photo shoot. And after that a lady will take off her clothes. Lady Loftis in full regalia. She’ll take it off in Goldfield. 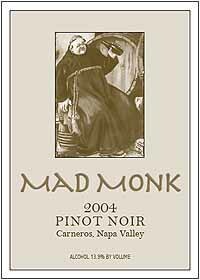 The basement of St. Mary’s in the Mountains in Virginia City has been transformed into The Mad Monks Fine Wine Cellar where visitors can buy private-label vintage wines. More. . . .
launched a fascinating series called “The First 100” chronicling 100 people who had major impacts on Las Vegas over the city’s first century. It’s great reading and now it’s online; you can order it in book form too . 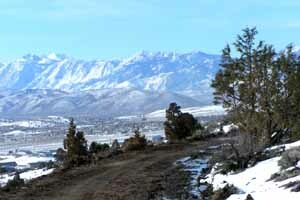 . . Gonadologists will fire up their stoves in Virginia City on March 15 for the 17th Annual Mountain Oyster Fry. Testes tasting begins at noon. The huevos will be separated from the lambs and flown in from New Zealand for the occasion and a $250 cash Grand prize will be awarded. There will also be a St. Patrick’s Day Parade down C Street at 11:00 am March 15 . . . 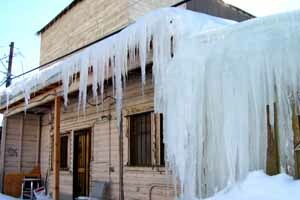 If you thought it was cold where you are, check out the back of Raine’s Market in Eureka in early February. And by the way, I was honored to discover that the recent Trip Report on Raine’s is posted prominently by the meat case. St. Mary’s in the Mountains, Virginia City’s venerable Catholic church, has received a $500,000 grant for restoration of the structure that has been called the finest example of Victorian church architecture in the USA, and the most-photographed historic site in the state . . . And, here’s an article about the restoration of Nevada’s oldest Catholic church building, St. Augustine’s in Austin . . . Here is a useful website devoted to Birding in Nevada, and here’s another one devoted to the annual Spring Wings in Fallon . . . The Edgewater Casino Resort in Laughlin recently completed a multi-million dollar renovation of the casino floor and with its next-door neighbor the Colorado Bellewill host a Blues and Brews Festival March 21 – 23 . . . America’s Car Collection, the aggregation of muscle and movie cars being built in Winnemucca, has been put off for a year. The restoration shop and offices are already in operation, and nearly 200 cars have been acquired, but construction of the exhibit hall has been postponed until 2009 . . . An exhibit of Nevada art, “Selections from Dada Motel” is at the Marjorie Barrick Museum on the UNLV campus through March 28,here’s a preview. There will be another show in Reno in June . 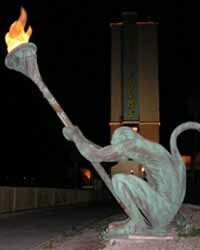 . . There’s a lively new website devoted to Hawthorne. . . Henderson will have a downtown St. Patrick’s Day Parade on Saturday, March 15 at 10 am. A 4-day festival features authentic Irish entertainment, delicious food, a carnival, a beer garden and a car show at the Henderson Events Plaza, 200 S. Water Street. Everything is free and open to the public . 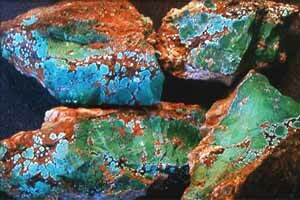 . .
Another interesting attraction at Tonopah: you can visit a turquoise mine. Tours start April 1, and advance reservations are required . . . The Nevada Commission on Tourism has launched a new website with current ski conditions, hotel ski packages, links to all Nevada and Lake Tahoe ski resorts. It’s a sister site to this one on golf, launched in 2006 . . . Las Vegas welcomed 39.2 million visitors in 2007, up 0.7 percent over the 38.9 million in 2006 . . . Eureka will have a Farmer’s Market this year, starting the end of July and continuing into September, location and schedule to be determined. And, the Eureka Opera House has a beguiling schedule of exceptional performers, and I’ve already put a big red circle around June 13th, that’s when Sourdough Slim comes to shake the old structure with music, laughter and yodels.